Over ninety percent of all of my mountaineering experience has been gained from climbing on Mount Blanc in January. The first time I donned crampons in anger it was walking off Aguille de Midi January 3rd 2004 after a night sleeping rough in Chamonix. In the following few days I learnt a lot about living in the cold – the first lesson being after 5 minutes; a platypus hose is utterly pointless. When getting my annual cold-fix I typically fly out from London on an early morning flight and, by 5pm, I am dug in to the side of the Mt.Blanc massif with enough supplies to stick it out a week. Its pretty cool – however being prepared for the cold and sudden increase in altitude is pretty important. 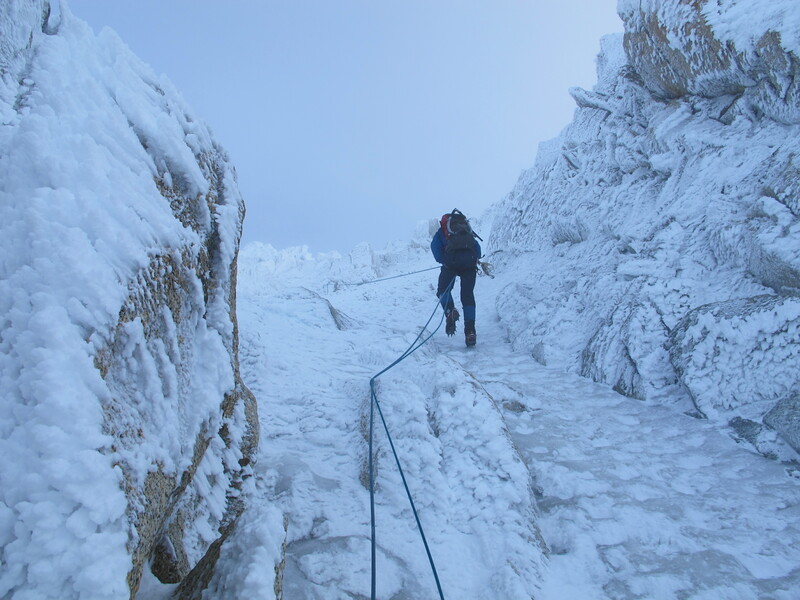 Climbing in the Winter Alps, especially if your sticking it out for extended periods is generally tough and, from what people experienced in Summer Alpine climbing say, it is incomparable. In the summer 2 routes in a day can be a blast but in winter, when contending with the environment and it’s effects on your body, if you get 2 decent routes in a week and you haven’t done badly. The weather in January at 3,800m is generally pretty brisk, and I have experienced everything from sunny pleasant mornings where it feels like +5°C (until any wind picks up) to bitter cold in the regions of -35°C or lower. The general temperature is -15 to -20 and it is often very windy meaning the wind chill can be severe enough to freeze exposed skin and make talking difficult due to the cold’s effect on your mouth and face. Long term exposure in temperature likes this, especially while on routes means a high risk of cold injury. Typically in the form of frost nip or frost bite but the cold dry air can also accelerate dehydration. 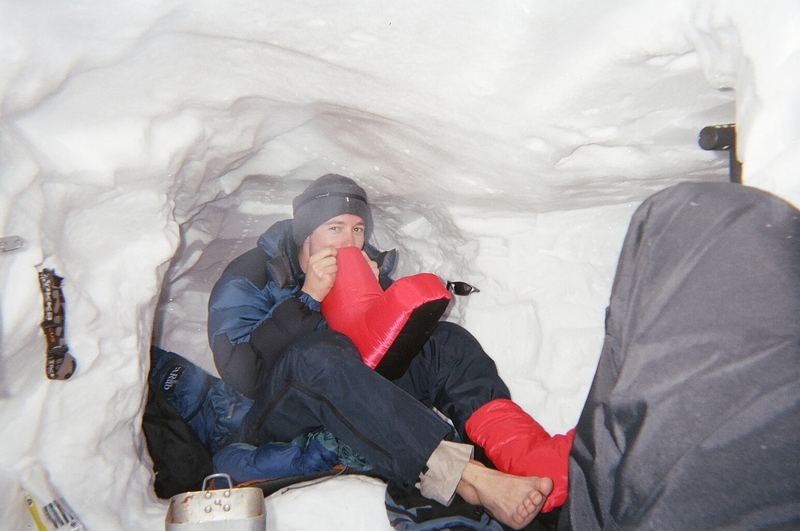 If you have the right clothing hypothermia should not be a likely problem unless you end up in a very exposed bivi in bad weather/very extended belay. Forcing yourself to eat a certain amount is a good idea.. Try to drink throughout the day! Hot Chocolate – practically essential! Your dirty cooking container does not make nice water – but you wouldn’t know it once you have mixed in a heap of chocolate powder! Welcome to the world of hot aches.. and if conditions are bad, and your on belay for a long time these can be excruciating. There is potential to help your hands by doing wind-mill type things and forcing the blood down – although I can not guarantee the science of this! If you feel your core temperature drop to a point where you are deeply cold (this has happened a couple of times in very exposed positions) do not just stand there! I have a routine of tensing my hands, forearms, biceps, chest, stomach, thighs, calves, feet, toes and back again in a kind of bod- tensing Mexican-wave. Usually in sets of 10 or 20 repetitions while praying that the out-of-sight leader builds a belay soon..
Have Goggles on hand if there wind is up with fresh snow – preferably in a pocket – wind blasting your eyes with spin drift can freeze them together while you climb or freeze nodules of ice to your eye lashes which can be surprisingly hard to shift! Bring a balaclava that fits, sun glasses, goggles and down-booties are a nice luxury! Moving from London (altitude of sea-level to 50m) to camping out at 3,500m in the evening, and looking to climb up to 4,500m over the following days is not ideal acclimatisation to say the least! You should be well aware of altitude sickness and it’s signs when climbing up – if your friend is throwing up on route and falling asleep on the belay – it is not a good sign. Many people have died due to altitude sickness on Mt.Blanc and not affecting you one year does not mean it won’t the next. This is the real killer! Not literally – but because you have to take more breaths to get the same amount of oxygen during sleep – your heart has to beat faster in order to deliver it. This means the nights can seem epicly long due to very light sleeping. 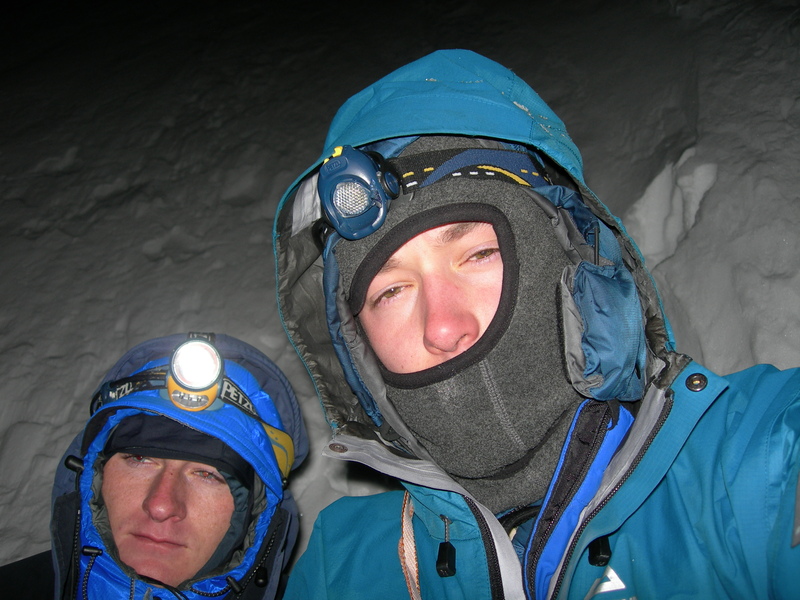 Many times I have just quietly asked my climbing partner the time as the chance of them being awake is so high. After a week this can really get to you on a physical and motivational level… but it’s not meant to be easy! I have often thought about sleeping pills – but totally unsure of side-effects or risks with doing this at altitude. Love to know your thoughts/experiences – feel free to add in the comments! Again – not sure of the science – but you just don’t feel as hungry and with those frozen flap jacks or choc-biscuit bars eating more than one or two can make you feel sick. My rule is to set my intake and stick to it – even if I am still munching on the way to the route. If you don’t eat you wont have the energy to climb quickly. 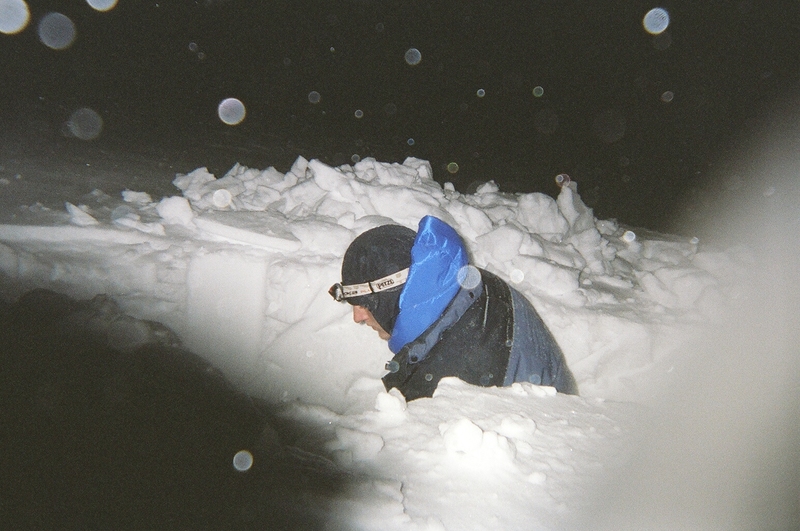 A partner of mine was once feeling utterly trashed in a walk-off carrying 35kg (deep snow plodding) probably a direct result of eating one flap-jack over a 12hr period. I am sure I have missed a heap of things and I would love to hear your thoughts – or other tips especially if I can use them on my next trip.